the lens extends a little when focusing from infinity to closest focus. the front element does not rotate on focusing. distance scale is provided in both feet (white) and meter (green), plus additional blue markings for close focus magnifications. 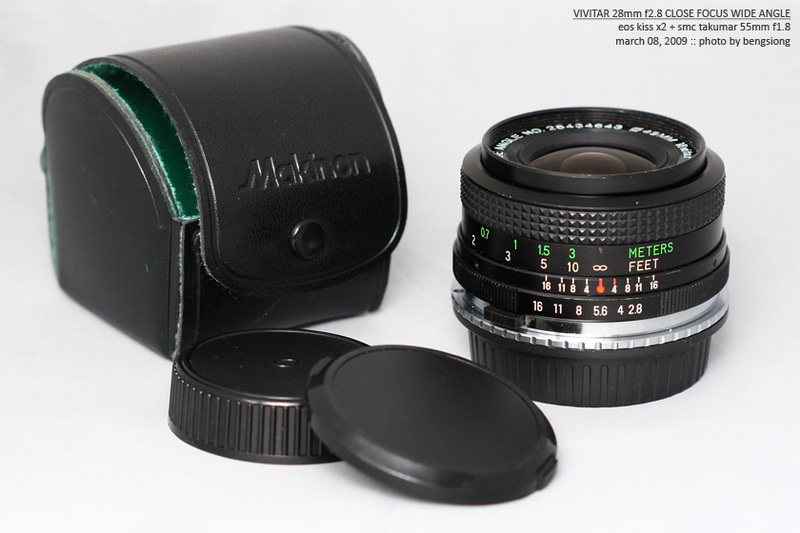 the lens can focus as close as 23cm, resulting in a maximum magnification of 1:5.
photos: the lens at infinity, and also at closest focusing. aperture scales are indicated in full stops, with half-stop detents between each stops. 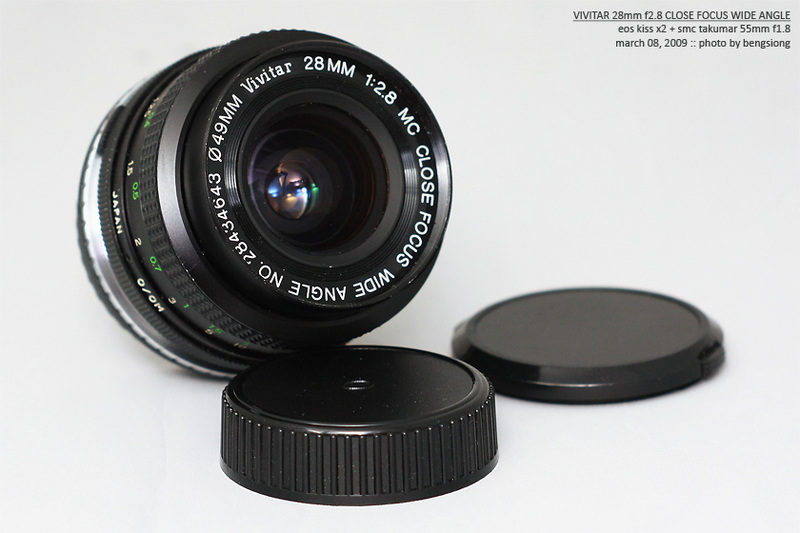 being an om mount, there is also a button to stop down the aperture for dof preview on the lens itself. there are 6 aperture blades. this lens takes 49mm filters and accessories. serial number indicates that this was manufactured by komine. on a canon aps-c dslr, it gives an equivalent field-of-view of 44.8mm, so it's not really a wide-angle anymore. photos: front and back views, with canon ef mount adapter attached. side note: first attempt at using a d.i.y. lightbox (psst... it's actually an old white nylon laundry hamper). shot handheld using only the built-in pop-up flash and ambient lighting for illuminations (no tripod, and no external flash... poor me). 2 pieces of white papers are held in front of the flash to diffuse the light and reduce the intensity. on another note, i just learnt today that the camera will not retain some settings when switching between shooting modes (e.g. from aperture-priority to manual). i initially had the camera set to shoot raw, and then switched modes without rechecking. all along i thought i was shooting in raw, and was bloody surprised when i loaded the files into my pc and realised that they're all jpegs. thankfully i got most of the exposures correct in the first place. lesson learnt: always check and confirm the camera settings. Hi. Can I ask what adaptor you're using with the lens that lets you use it on the canon dslr. Thanks. 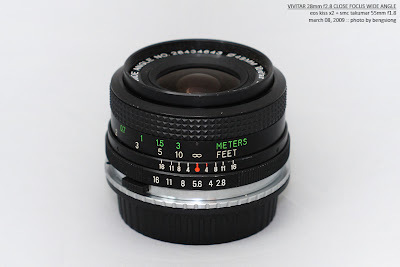 hi, i'm using olympus om to canon ef adapter for this particular lens. mine is from ebay (seller id: big_is). search for "om canon adapter". 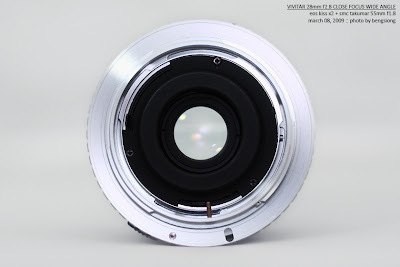 there are also many other adapters to adapt lenses from different camera mount to canon, e.g. pentax k, m42 screw, nikon etc., but do note that these adapters are all meant for manual use only (no auto-focus capability). Hi. I'm aware I won't be able to auto focus, I have other manual lenses. 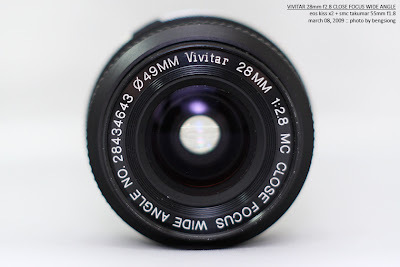 I just bought this lens (serial no:28xxxxx) but how did you know for sure it was an om mount? 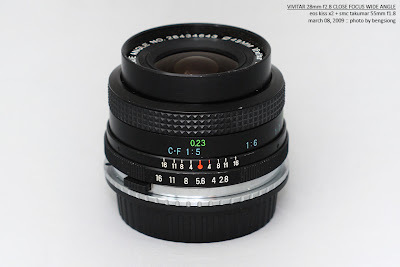 Are all the Komine (serial no: 28XXXXX) lenses OM as I was told by the owner that it's a yashica/contax mount? Apologies if the questions seem silly. Thanks.